It's obvious we live in a digital age. Photos are often manipulated and it is sometimes hard to even know if the image you are looking at was an actual a moment captured or if it was all fabricated. Our digital tools have become so powerful that many rely on them to help make that perfect image instead of knowing their camera gear inside out. We all manipulate our images to a certain degree but the question becomes how far do you go? And if you do make chances are people aware? Or do you leave them to believe the image was straight out of camera? I admit I make changes to my images when I feel the final result will be much more pleasing to the eye. 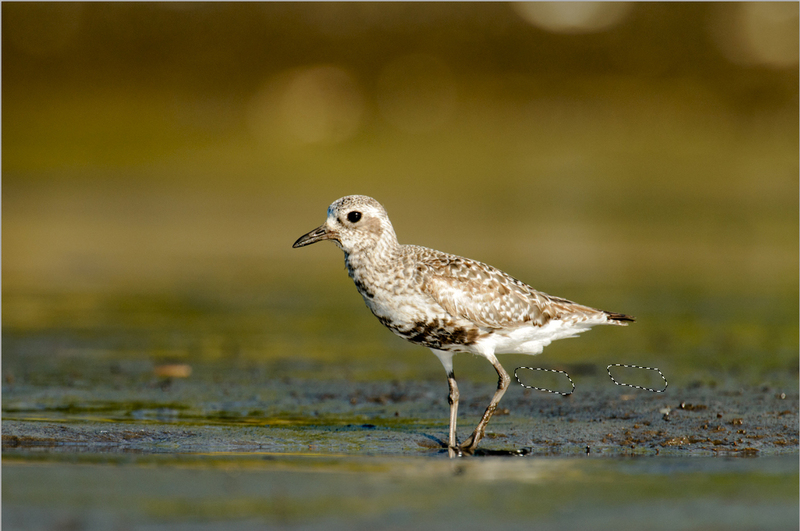 Below is an image shot last year of a Black-Bellied Plover. 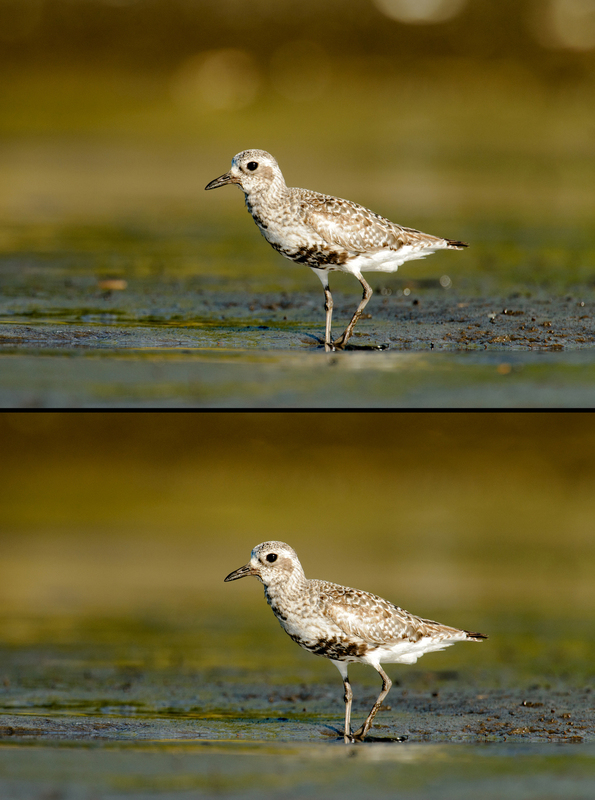 With the tools we have available in software like Lightroom and Photoshop these items are very easy to "clean up". I personally use Photoshop for all of my editing so for the above I used the patch and clone stamp tool. With the patch tool basically all you do is make a selection around the area you want to remove. Drag that selection over the area you want to sample and let go of the mouse. Like magic its gone. For all of the small items I used the patch tool. The large circular highlights in the background I used a large soft clone stamp tool and painted them out. I sampled the areas next to them and just painted. Keep in mind the above image after the changes I made would not be allowed into many of the competitions out there. Any removal of items in an image is unacceptable so for any images I enter I do not altered them in any way. Some of my favorite photographers and best wildlife photographers in the world manipulate their images...the key thing is they make it known. So what are your thoughts on this topic? Is this something you do? Do you make it known or do you lead your viewers to believe the image was exactly how it was captured? Leave a comment below as I would love to hear your thoughts.